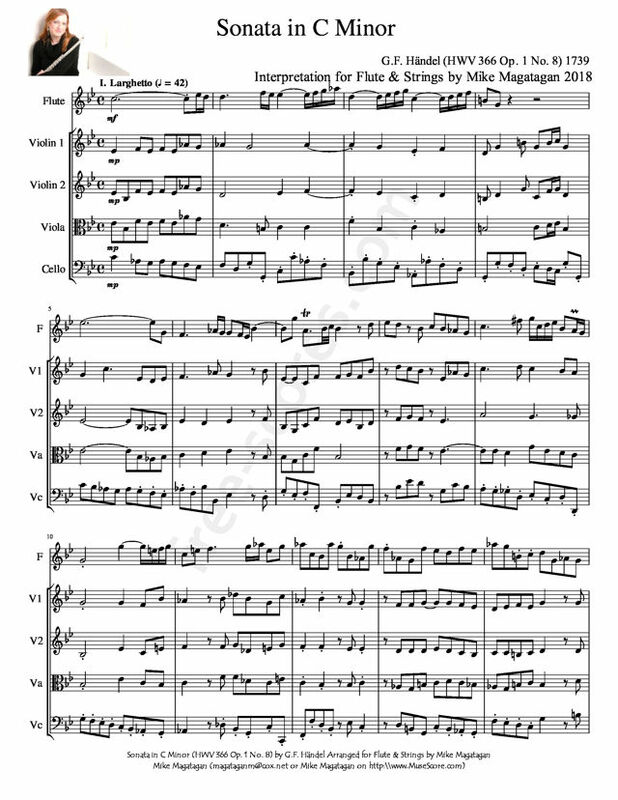 Although originally written for Recorder & Keyboard, I created this Interpretation of the Sonata in C Minor (HWV 366 Op. 1 No. 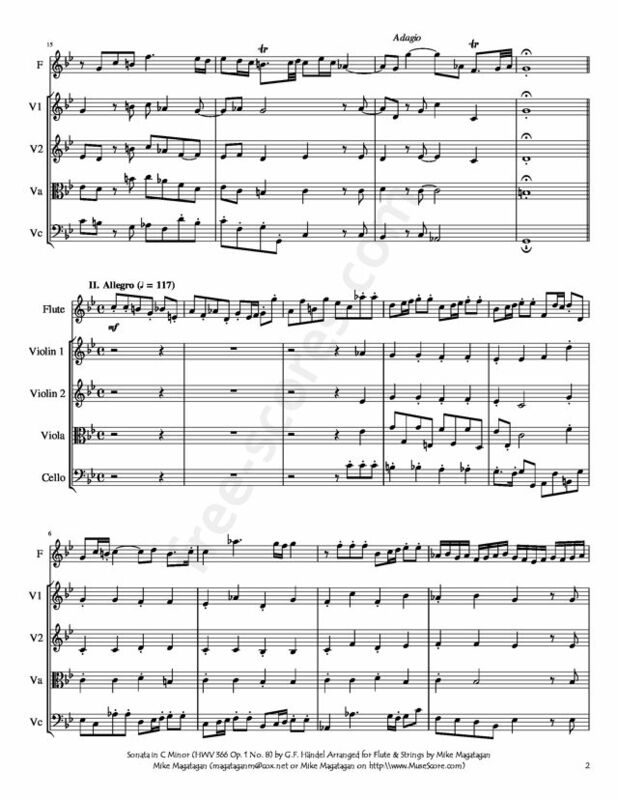 8) for Flute & Strings (2 Violins, Viola & Cello). 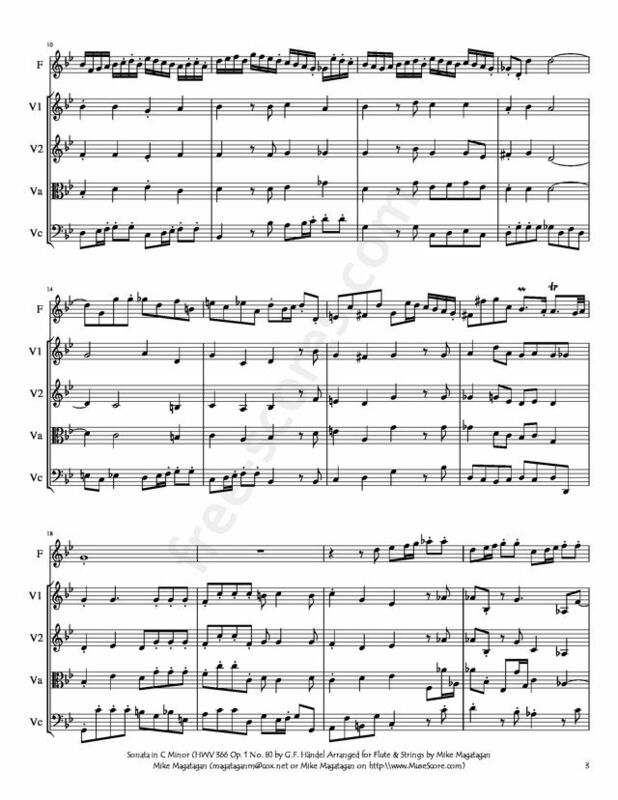 4 scores found for "Sonata in C Minor for Flute & Strings"